Millener Thomas was born on May 18, 1911, in Philadelphia, Pennsylvania. He entered the U.S. Naval Academy on June 24, 1929, and was commissioned an Ensign in the U.S. Navy on June 1, 1933. His first assignment was aboard the heavy cruiser USS Salt Lake City (CA-25) from June 1933 to June 1935, followed by service as an Aircraft Gunnery Observe with VS-9S aboard USS Salt Lake City from June 1935 to April 1936. 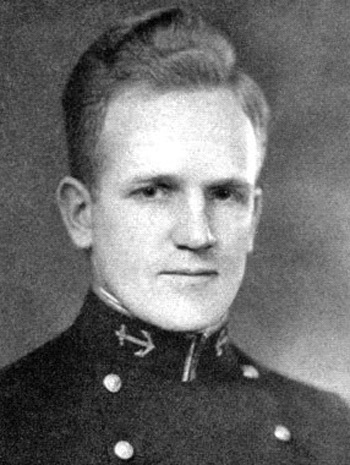 LTJG Thomas next attended Submarine School at Submarine Base New London, Connecticut, from June to December 1936, and then served aboard the submarine USS R-14 (SS-91) from January to July 1937. His next assignment was aboard the submarine USS Cuttlefish (SS-171) from July 1937 to January 1942, followed by service at Groton, Connecticut, for the fitting out of the submarine USS Grunion (SS-216). LT Thomas remained aboard USS Grunion as her Executive Officer from her commissioning on April 11, 1942, until he was killed in action during a confrontation with the armed Japanese freighter Kano Maru on July 30, 1942. On August 22, 2007, a search team organized by the three sons of CDR Mannert Abele (the Captain of the Grunion when she was sunk) used a remotely operated vehicle to find a sunken vessel 3,000 feet down in the Bering Sea north of Kiska Island at the tip of the Aleutian Islands. On October 1, 2008, the U.S. Navy announced that the sunken vessel is the World War II submarine USS Grunion (SS-216). 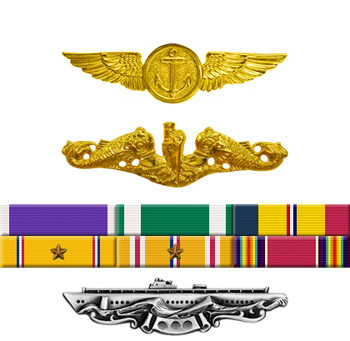 For meritorious conduct as Executive Officer of the U.S.S. GRUNION which destroyed three enemy destroyers while engaged in a war patrol in enemy controlled waters. Despite severe and persistent anti-submarine measures resulting from these three successful attacks, the GRUNION was brought safely through the counter attacks and continued an aggressive war patrol. As Executive Officer of the GRUNION, your performance of duty was an important and material contribution to the prosecution of this war.